What’s With the Warehouse Under Construction at Randolph & Oxford? A couple of readers have reached out to us of late, wondering about the ongoing construction at the corner of Randolph & Oxford, in South Kensington. 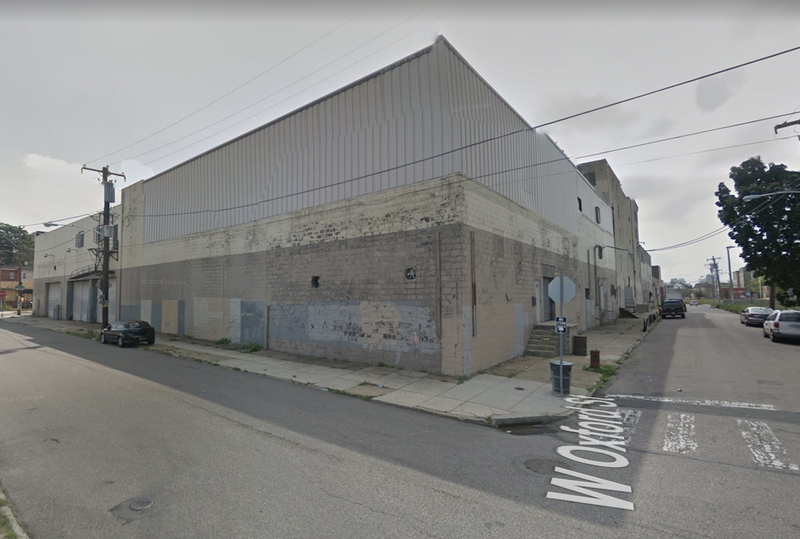 This corner is the rear of an old industrial building, and nobody would have claimed that the building possessed much street presence before the work got started. To be fair, you’ll be hard pressed to find many buildings with good looking back sides, but the fact that this building backed up to a corner made its blah rear incredibly noticeable. Or perhaps you enjoy the combination of old paint, cinderblocks, board and batten siding, and stucco? No, of course you don’t. So it’s a huge plus to see the changes that have happened here over the last few months. Check out all these new windows! 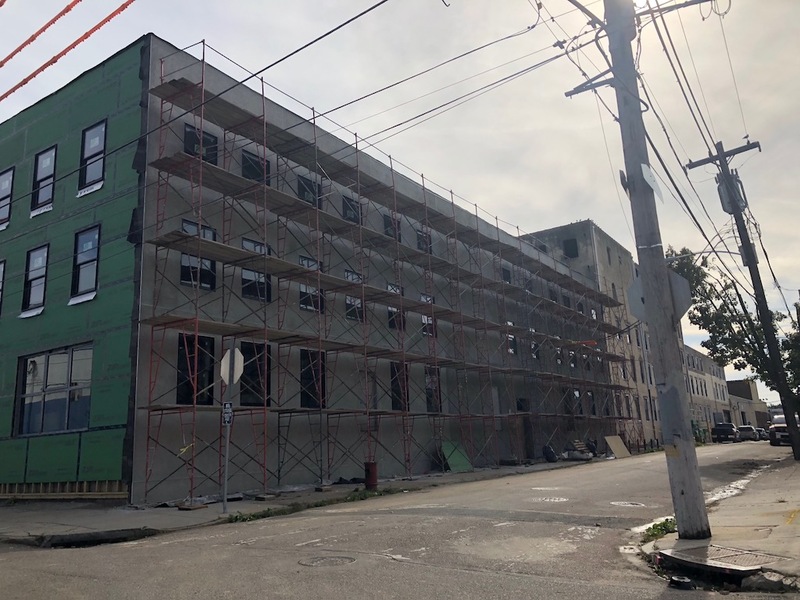 And while the stucco on the western side wouldn’t be our first choice, at least the architects are going with one exterior material and sticking with it, not giving us the cladding soup we were dealing with before. And did we mention all the windows? 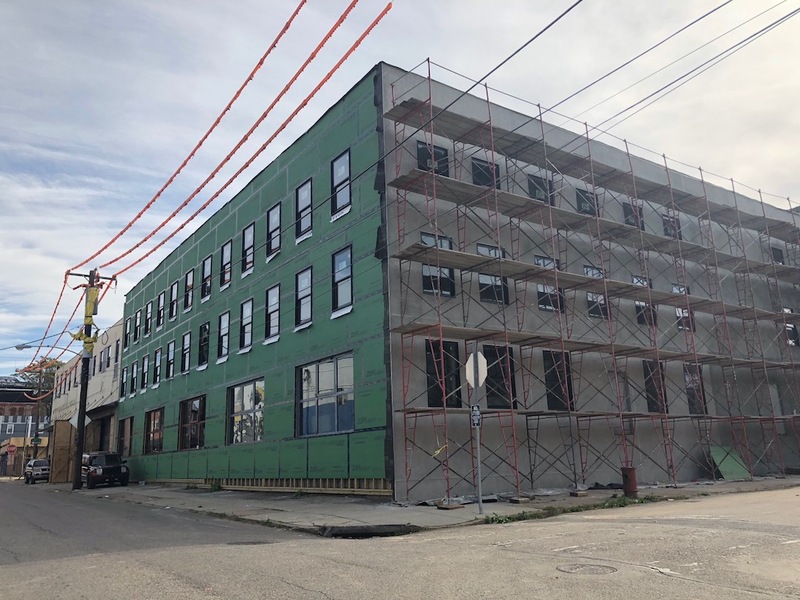 Given the types of projects that keep popping up in this neighborhood, you might think that this is a residential project, yet another example of the shifting of industrial use to residential use in this area. While that would certainly make sense, that’s not accurate at all. In fact, you’d probably figure out what’s happening here rather quickly if you just walk around the corner, to the front of the building. 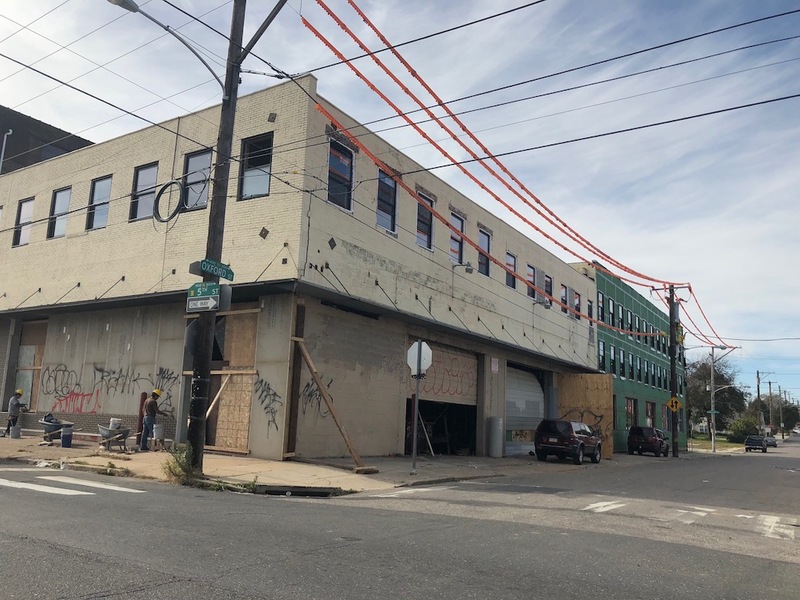 This property, 1516 N. 5th St., is occupied by Billy Penn Studios, which includes studios (as the name suggests), co-working space, and office space. 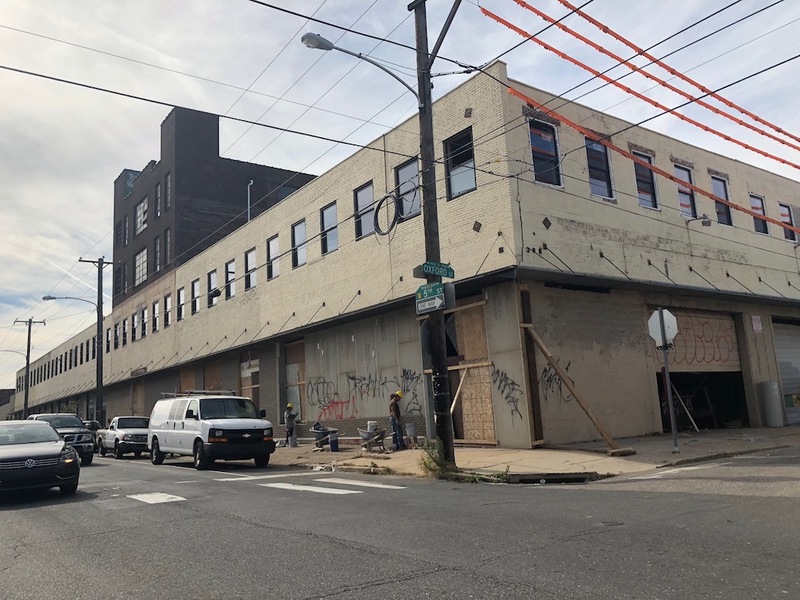 The construction on Randolph Street is a major renovation effort by Billy Penn, which will soon create additional office space, creative space, and a restaurant. To us, this feels like South Kensington’s answer to the Bok Building, but in an old industrial building instead of an old school. Seems apropos. So if you’re looking for a space to work out of in this part of town, this will soon be a compelling option. And if you like working in South Kensington, there’s no shortage of rentals or homes to buy, coming online over the next months and years.